Willingham lies at the edge of a the great Fen which was drained in the 17th century by the Dutch engineer Cornelius Vermuyden. The drains he constructed start in Earith, just north of Willingham. Much of the Fen is below sea level and is kept drained nowadays by pumping stations. Willingham lies on an old road which was used by pilgrims on their way to Ely Cathedral which is located on a high piece of land which would have been an island surrounded by marshes, bog and lakes a.k.a the Isle of Ely had drainage not succeeded. The church in Willingham dates from Norman times and is today noted for it fine wall paintings which avoided the attentions of misguided 19th century restorers, largely through neglect of the church, the highlight being a very rare depiction of a pregnant Virgin Mary. Another interesting feature in Willingham is the ancient fortress of Belsar's Hill (shown on the map above to the east of the village). Little is known about this place which, althought ploughed out in places, is still an impressive earthwork. One theory is that it was an Iron Age fort which guarded the Aldreth Causeway, an Iron Age road built through the marshes of that time which led to the nearby Aldreth. Another theory is that it was built by one of William the Conqueror's generals called Belasius (corrupted to Belsar over time) during the siege of the Isle of Ely held by Hereward the Wake. Its name in 1221 was Bellasise (or 'lovely seat' as one commentator thought - he obviously never visited the place or he would know otherwise!). 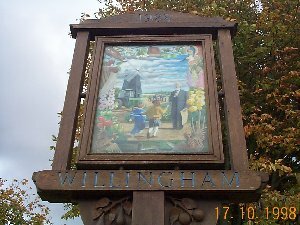 The village sign above contains a potted history of Willingham. Cattell's Windmill is shown which has recenly had new sails fitted. The man on the sign is George Pegler, the first master of the British School established in 1856. Around the sign are shown fruit and flowers which were the main produce of the village - still grown today but on a much smaller scale. There is also a representation of the wallpaintings from the church as well as one of the carved angels which can be seen on the roof timbers. Finally, a U2 spy plane can be seen flying over in recognition of the nearby USAF air bases. Willingham church (St Mary an All Saints) is well worth a visit to see the wall paintings and its rare stone-roofed chapel which has been carved to look like wood. The church has its own web site at http://www.willinghamchurch.org/. Read the fascinating story of the WW2 German spy who parachuted into Willingham in 1940 - click here to see the story. 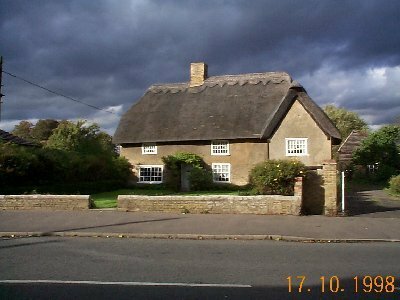 A web-based map of Willingham can be found here. This map shows the location of Willingham in relation to other local towns and cities. This is an experiment at the moment. Click here to see a panoramic view of a wintery scene in Rampton End. I intend to expand this into a virtual walk around Willingham. 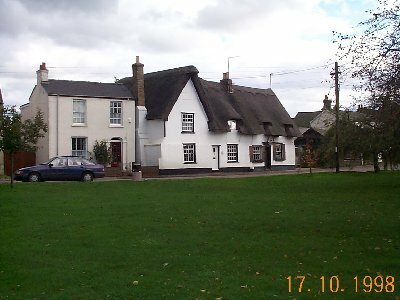 Although the previous 2000 years of Willingham goings on are not recorded in newsletters, ex-Willinghamite Alan Robinson has written a newsletter of his own for the years 1939-1955 which some of you might find interesting. View it in HTML format or in PDF format. To add items to the Willingham Newsletter or any other enquiries, send an email to Pat Daniels (patricia.daniels@ntlworld.com). This section is for miscellaneous messages e.g. from people wanting information. If you have anything you want to put here, send me an email. Hello, I am Mrs S McMahon and my grandparents Henry (Harry) and Emma Welsh (nee Hayden) used to live in the Ivy Cottage, Church St, opposite the church where they are now laid to rest. Interested in hearing from anyone who knew them, they went there during WW2 and died 1957/58. My father was their youngest son Alfred who was in the RAF. I am compiling their family history, grandmother's father was Levi Hayden born Willingham1855, and related to Few/Gifford/Bidall lines. Email if you have any answers!